Dr Stephan Frühling is an Associate Professor in the Strategic and Defence Studies Centre. He is a Chief Investigator on the Australian Research Council’s Discovery Project on Small Allies and Extended Nuclear Deterrence. From August to December 2015, he was the 'Partner across the globe' research fellow in the Research Division of the NATO Defense College in Rome. In 2014-2015, Stephan was a member of the Australian Government’s external panel of experts on the development of the 2016 Defence White Paper (http://www.defence.gov.au/Whitepaper/default.asp). He was the inaugural Director of Studies of the ANU Master in Military Studies program at the Australian Defence Force’s Australian Command and Staff College from October 2011 to June 2012, and the Deputy Director of Studies until the end of 2013. 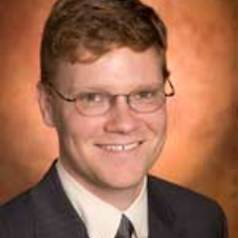 Stephan was a Managing Editor of the journal Security Challenges from 2006 to 2014.